If you’re planning to buy or sell a home, you want the process to go successfully. If you’re selling, success means getting your property sold quickly and for the highest price possible. If you’re buying, it means finding your next dream home and getting into it, affordably. On top of that, if you’re like most of our satisfied clients, you also want everything to go smoothly, with as little stress as possible. 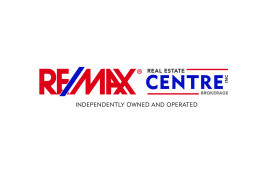 We are proud to be the real estate Team of choice for those who want a great experience buying or selling a home. Our “clients-first” approach means that you’ll be working with a professional Team of Realtors who listens to you, provides expert advice, and works hard on your behalf. Whether you’re buying or selling, it’s ultimately about realizing a dream. We understand how much the decision will mean to you. In fact, that’s one of the main reasons we became Realtors – to help people achieve their real estate goals, while making the process easy and trouble-free. Clients often tell us how much they appreciate our expertise, our willingness to be there with them every step of the way, and our determination to get them the best deal. They also tell us that we’re friendly, knowledgeable and a pleasure to work with – which is quite a compliment! As a Team of Realtors who put clients first, we look forward to hearing from you.